Get professional custom website design for your small business with a domain, managed hosting and support included, and the flexibility to grow as your business does. No contracts or upfront costs, just easy monthly payments. Tailored website design and development based on WordPress for small business, non-profits and individuals. Get in touch today to discuss your project. We create websites that work. If you’ve outgrown your website, we can help take your small business or non-profit organisation to the next level, with world class design, and functionality that works for you to streamline your processes. Our website creations inspire trust, rank well and encourage action. We work with individuals, small to medium sized businesses, non-profits and charities. Rather than just looking pretty, we’ll help you create a website that grows with you and helps to achieve your goals. Choose from our range of excellent pay-monthly website design packages for straight forward custom design, or get in touch to discuss your project and we’ll tailor a solution just for you. Using our straight forward process, just choose one of our exclusive designs, and we’ll customise it to suit your requirements. With managed hosting, email and domain included for one easy affordable monthly payment. If you’re a growing business or charity, you may need a more detailed project involving consultation, bespoke design and special functionality. We deliver on time and within budget. Let’s create your perfect website. We’ve been using WordPress since it was born. Check out our range of support services for WordPress based websites, as well as maintenance plans to keep your site running at it’s best. 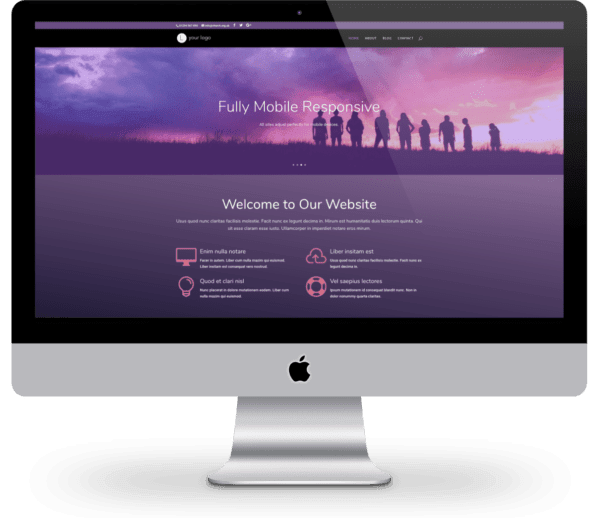 All our designs are built on fully mobile responsive themes that adapt to all screen sizes. Responsive sites do better in Google search rankings. We apply on-page SEO to all sites to ensure your website is indexed and easily found on search engines. We hand pick the best plugins to give your site great interactivity, whether it’s forms, photo galleries, social media integration or taking online payments. 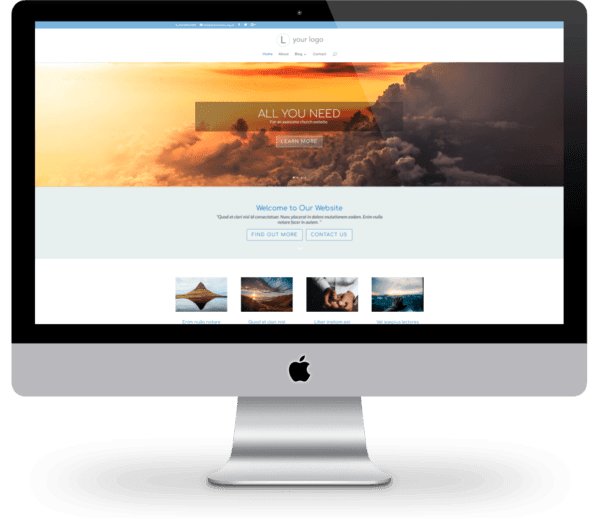 Plus, your site can be extended through the thousands of free plugins available on the WordPress platform. 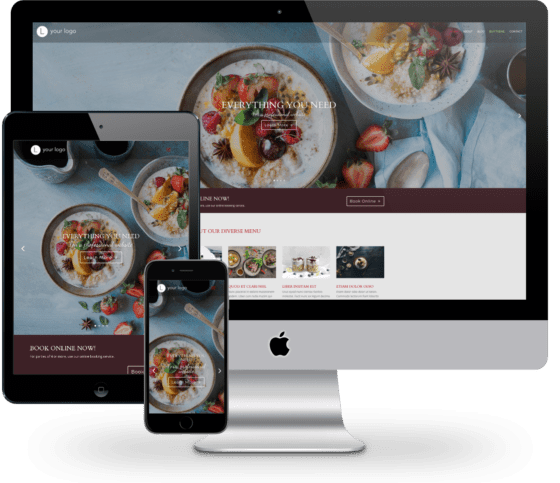 With a selection of premium website designs based on some of the world’s best WordPress themes, your site will look incredible and be highly flexible. Change your own layouts and choose from a wide selection of content display modules to convey your message. All our packages include professional custom website design services, so if you need a custom colour scheme or layout for your website, it’s not something you have to guess at yourself – something that can be very time consuming to get right. We want to empower our clients to take control of their own websites whilst we handle the technical side of things. We’ll host your site, taking care of all technical issues, troubleshooting, software updates and security, removing the many pitfalls that running your own website can bring. We’ll buy and renew your domain name, configure your email, keep your site’s software up to date and provide all the help and support you need to run your own site. You’ve got full control over everything you need to stay focused on your content. Get set up online quickly and easily.